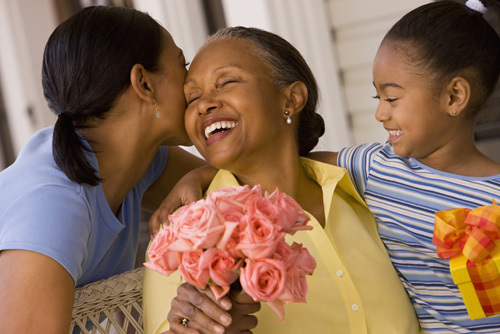 Mother’s Day Weekend Celebration at Lewis Ginter Botanical Garden has many opportunities to spend time with mom and loved ones. Enjoy the popular Butterflies LIVE! exhibit, live music, Children’s Garden activities, shopping, dining and more. Plus this year, you can enjoy The Art of Play featuring six interactive and playful sculptures made by Virginia artists. Saturday and Sunday – M&T Bank Butterflies LIVE! 9 a.m. – 4:45 p.m. Enjoy activities in the Children’s Garden 10 a.m. – 4 p.m.
· “Make-and-takes” for mom: make a Mother’s Day card and a tissue paper flower! · Throughout the Day — Don’t miss our regular line up of Drop and Dig the Outdoors activities on Saturday, and Garden Art on Sunday. · WaterPlay 9 a.m. – 4:45 p.m.
· Nosegay flower bouquets available for purchase from 10 a.m. to 3 p.m. Watch Artist Laura Flournoy create these mini bouquets and learn about the history of the nosegay bouquet, how they are used today and the meaning of the flowers used in them. · “Stop and Smell the Roses” Visit with Garden Guides at the Grow Cart as they share Garden information and resources. Sunday, May 12 – Enjoy the smooth jazz sounds of Glennroy Bailey at the popular Mother’s Day concert held at the Bloemendaal House from 1 p.m. – 4 p.m. Food is also available for purchase at the Bloemendaal House from 12 p.m.-3 p.m. Guests are welcome to bring blankets or lawn chairs but no outside food or beverage is permitted. Tips for Mother’s Day: Arrive before noon if you can. Carpool if you can, parking is limited. SOLD OUT Prix fixe Mother’s Day Brunch at the Lora Robins Tea House. Please note that admission to the Garden or Garden Membership is required in addition to your brunch. No phone reservations, please. Please arrive 30-45 minutes early for your brunch reservation. The Garden’s celebration of spring! Experience the wonderful world of butterflies! A collection of art that starts in the garden and transforms into beautiful wallhangings from Laura Flournoy.